Have you a burning question about database marketing? Confused about the best email marketing software for you? Puzzled about where to find customer data? Struggling for ideas to get customers to opt-in? Worried about anti spam laws? 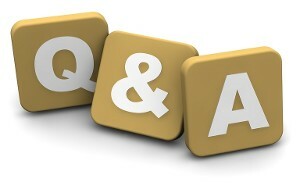 Submit your questions here and we’ll do our very best to answer as quickly as possible. And if you can add to any of our answers, please feel free! Opinion on this email service? Didn't know about need for opt-out - can I use these customer emails? Can I send text message marketing to people who haven't opted-in?